Welcome to Jaguar Fort Myers! Jaguar Fort Myers is proud to receive the Pride of Jaguar Award. The Jaguar Fort Myers “Internet Sales & Delivery Team” has a singular focus; to make your next vehicle purchase as easy and hassle free as possible. We understand that many hours go into researching your new and used car purchase, a lot of those are spent online. We feel that our website is an ideal place to discover all of your options and when it is time for you to make contact we have a dedicated team of professional product specialists ready to assist you with any and all questions that you may have. We look forward to serving you throughout your buying experience and for many years after. We are very excited to have the opportunity to serve the luxury segment in Southwest Florida. Our number one goal is to earn your business on a brand new or certified pre-owned Jaguar. The hallmark of our dealership is a top-notch team that’s dedicated to impeccable customer service and fair dealing. Customers can expect to see many discernible improvements over the upcoming months in all facets of the operation. Look for a broader inventory of new and pre-owned vehicles, a robust new website, and an array of distinctive services designed to enhance the customer experience. Jaguar Fort Myers is proud to be amongst a few select winners of the Pride of Jaguar Retailer Excellence Award for 2014, 2015, 2016, and 2017! Most recently, we’re proud to announce that Jaguar Fort Myers has won the prestigious Pride of Jaguar Retailer Excellence Award for 2017/18 for outstanding performance in customer experience, business excellence and sales. 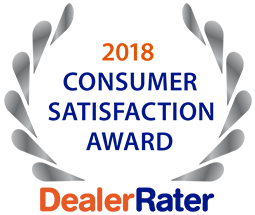 Only sixteen Jaguar Retailers in the US are selected each year to earn the distinction.Our thanks goes to our customers for their support and loyalty to us and to the Jaguar brand. We will continue to take the ideals of excellence and turn them into a way of doing business – for every customer, every day. We are driven to another level. On the service side, we have revamped our service loaner program making available more luxury vehicles as loaners. You’ll see a laser focus on complete customer satisfaction. Vehicles will be processed quickly; more quick moving parts will be in stock, and we’ll be in constant contact communicating the status of your service. Thank you for taking the time to explore our website. We hope that you found researching your next vehicle to be interesting as well as effortless. If you have any questions that you were unable to find answers for here on our website, please feel free to call us at (866) 254-7845. Jaguar Fort Myers	26.512218, -81.8608579.